Selecting Shop will take you away from att.com. Learn more about the Connected Marketplace. 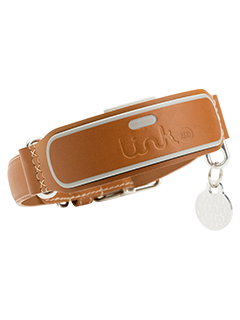 The LINK AKC™ Smart Collar provides peace of mind and makes dog ownership easier by putting your dog’s location as well as her wellness, safety, and training needs right at your fingertips whenever you need it. Parties other than AT&T manufacture and sell the products advertised on www.att.com/connectedlife. AT&T provides links to the sites of these unaffiliated companies for your convenience. AT&T is not responsible for examining or evaluating, and does not warrant the offerings of, any of these businesses, their products, or the content of their Websites. AT&T does not assume any responsibility or liability for the products displayed on www.att.com/connectedlife. You should carefully review their conditions of use prior to purchase.